Education He was Completed his high school education in Jamshedpur. Earned the Diploma, Bachelor Preparatory program from IGNOU,New Delhi. Arjun Munda was the Chief Minister of Jharkhand for three times and is currently Leader of Opposition in the Jharkhand Assembly. He is a very important Bharatiya Janata Party (BJP) leader from Jharkhand, hailed by his compatriots for his organisational skills as well as extensive mass contact. Arjun Munda also became National General Secretary of the party and successfully handled responsibilities of an MP. During the upcoming Assembly elections in the state, Arjun got BJP’s nomination from Kharsawan (ST) Assembly constituency and he is also one of the leading contenders for the Chief Minister’s seat, if BJP assumes state power. However, political analysts believe that he may not get the coveted seat as BJP is planning to choose a non-tribal as Chief Minister of Jharkhand. Sources reveal that BJP President Amit Shah has asked Munda to try and garner more assembly seats during the upcoming Vidhan Sabha election. He has also reportedly asked Munda to prepare himself for any possible decision taken by the party. However, Arjun Munda has already made some detractors within the party and is also known as close to Rajnath Singh, who is reportedly not on very cosy terms with Narendra Modi. These two reasons may go against Munda from becoming the next CM of Jharkhand. However, the former CM has conveyed to top BJP leadership that workers of the party are geared up to win the upcoming elections and form a stable government in the state. Arjun Munda was born in an economically backward family in Jamshedpur’s Khrangajhar on May 3, 1968. His father is late Ganesh Munda and mother Saira Munda. 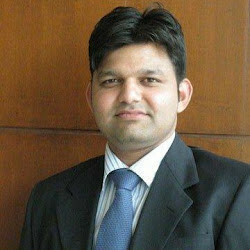 He completed his schooling from Jamshedpur itself and completed his graduation from Ranchi University. After securing this graduate degree, he also did his PG Diploma from IGNOU on Social Sciences. He was attracted to politics at an early age, even when he was only a teenager. He got involved in the Jharkhand movement in early 1980s, demanding a separate state for tribals in Bihar’s southern, mineral rich region of the state. He joined the movement, which vouched for welfare of tribal people, and soon became a prominent face of the separate state movement, then spearheaded by Jharkhand Mukti Morcha (JMM). After joining the tribals' cause, Arjun Munda came to higher leadership’s notice very quickly due to his organisational as well as leadership capabilities. His inclusive vision and sincere effort for the cause of separate Jharkhand state got him a Jharkhand Mukti Morcha ticket from Kharsawan constituency in 1995 and he went on to become MLA for the first time. BJP always believed in the formation of small states and that’s why one of the first things BJP-led National Democratic Front did after assuming central power for the first time in 1999 was to grant statehood to Jharkhand, which was declared a state on November 15, 2000. This is the time when Munda got attracted to BJP’s policies and joined it. He also contested Assembly election of 2000 as a BJP candidate and won the election from Kharsawan. Arjun Munda was entrusted with the Tribal Welfare Ministry portfolio, which he handled efficiently, in the first government of Jharkhand formed under NDA. His stature within the party improved progressively and in 2003, Arjun Munda was selected as the preferred CM of Jharkhand to ward off divisive domicile policies of Babulal Marandi. At that time Munda was just 35 years of age. He was second CM of the state and went on to shoulder the responsibility two more times, subsequently. The first government under his leadership existed from March 18, 2003 to March 2, 2005. The second term as CM lasted from March 12, 2005 to September 14, 2006. Arjun Munda’s third term as Chief Minister lasted for more than two years from September 11, 2000 to January 8, 2013.